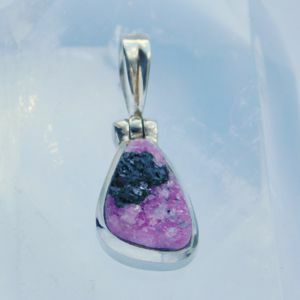 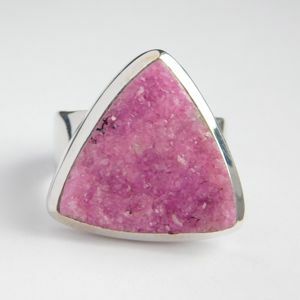 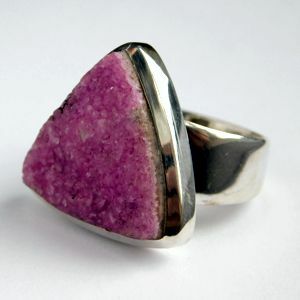 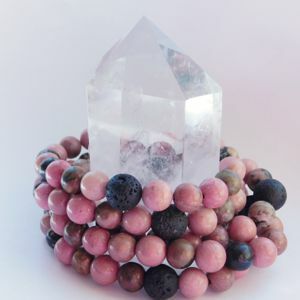 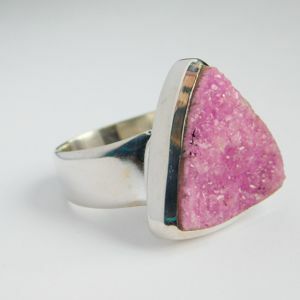 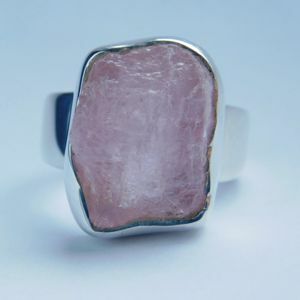 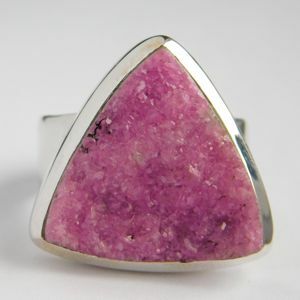 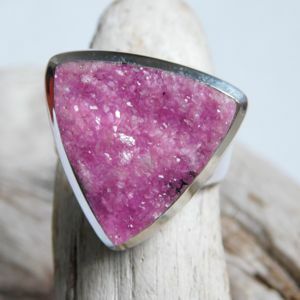 This breathtaking ring features a natural rare pink Cobalt Calcite Druzy. 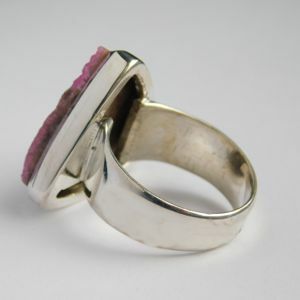 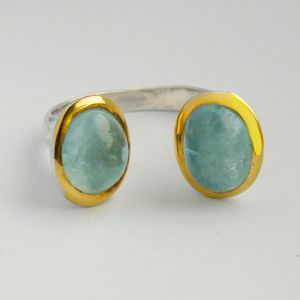 I designed this one-of-a-kind statement piece around the 20 mm trillion cut gem. 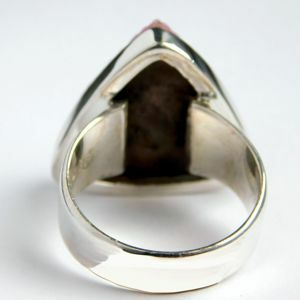 The ring size is US 8.